Pietro Lilliu and his wife Roberta met when Pietro was pitching his family wines to Roberta’s store in Cagliari, Sardegna’s capital city. At that time Pietro had taken the reigns of the family land from his father taking this humble family’s dream to the next stage. Pietro had big hopes for this small two hectares parcel in the Marmilla, an area of Sardegna that I struggle to deem as one known for it’s winemaking. The Marmilla is 35 minutes north of Cagliari and is in the middle of the island, surrounded by hills with amazingly no sign of the ocean, which seems to touch every corner of this island. Instead you have these hills, that were deforested about the Pietmontese a century ago leaving parts of Sardgena, like here in the Marmilla, to become almost desert-like after a hot dry summer. It’s in these conditions where Pietro has almost miraculously created a perfect ecosystem on these pesky two hecatres. He farms naturally, but is not one who cares to determine himself so. He truly believes however that being in synch with nature and creating an ecosystem of different trees and plants has allowed him to carve out his slice of paradise in Sardegna’s unforgiving terrain. Visiting in October after Sardegna has gone without rain for five months is where you witness the beauty of his work. His vineyard is perfectly healthy and water still remains deep under ground for his vines to seek out. If you look anywhere beyond this small property you will notice the ground cracking and fissures practically opening up due to how dry it is, but not at Pietro and Roberta Lilliu’s property. I remember pulling up to the Lilliu family home and driving through the gate. This is small time farming where they live above the cellar. When I pulled in and met this incredible family for the first time I took one look around and could immediately tell I had discovered the real deal. The winery has all Pietro needs for his minimalistic winemaking approach. The cellar has few gizmos and gadgets like many modern cellars on mainland Italy but instead many old school instruments and pieces of paper to measure fermentation readings to determine if wines have fermented to dryness or not. 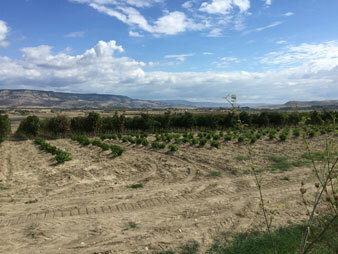 As mentioned Lilliu is sitting on two hectares of vine that get tractored to the cellar about 5 miles away when ready. They have arrived at about 20,000 bottles production and I don’t expect that number to increase unless they are able to plant another hectare of vine nearby. This couple has big aspirations though in terms of building a new cellar and being able to welcome tourists and helping them discover the real Sardegna. 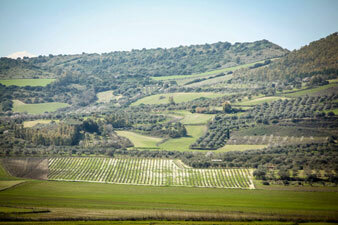 Pantumas has great acidity that would rival the great Vermentino’s of the Gallura in northern Sardgena. This is the backbone of the wine, but being from Cannonau you also notice an influence from the red fruit from which it derives in terms of aromatics. This wine is the end is delicate and elegant however, nicely showing of the terroir of the Marmilla. Oysters and other shellfish are a must here. They will do two separate harvests, the first to maintain acidity and freshness and the second to add structure to the wine. The wine is harvested by hand and once arrived to the winery will be immediately pressed. The pressing is very soft however, where only about 50% of the potential juice will go into this wine. The wine will then ferment on a cultured yeast created by Pietro. For every 10L of wine Pietro will use 10mg of yeast, this is truly a science to him and he is keen on controlling this natural fermentation which is challenging at best. From here the wine ages on the fine lees for three months at cold temperatures. The wine does not undergo malolactic fermentation. Presciu means happiness in Sardo dialect. This is a blend of Cannonau, Bovale and Syrah the three grapes grown at Lilliu. Cannonau provides fruit, boval structure and syrah helps to smooth out the blend. This wine is wild in terms of bright and bitter red fruits to start, then the structure comes into the mix as the bottle is opened. Grilled meats and hearty fare. 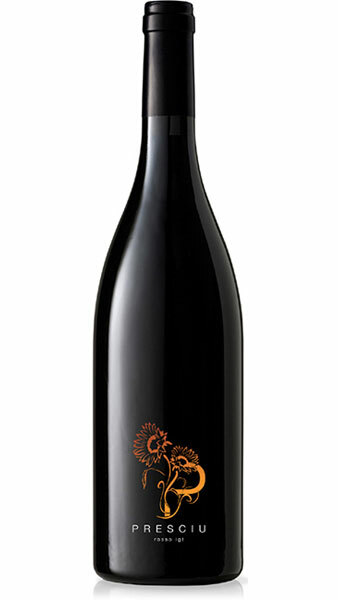 Grapes are vinified separately and then come together in stainless steel, where it aged for 6 months before bottling. Dicciosu means proverbial in local dialect. What separates this Cannonau is its drinkability. In fact, this is a rare breed for the varietal in that it is a wine that is not overoaked and is one where you won’t have trouble finishing the bottle. Pietro is careful to not extract too much and only the noble part of the grape. Pasta all’amatriciana, hearty meats and pork. Grapes are harvested by hand, the wine will spend no more than 10 days in contact with the skins at low temperatures as not to extract too much tannin. This wine only ages in stainless, bringing out the best of Cannonau from this terroir.